Confession: I didn’t think the latest version of “The Jungle Book” could possibly outshine the two I’d seen before. When the Disney cartoon was released in 1967, I was almost thirteen years old and way too cool to admit how much I loved it. The next “Jungle Book” hit theatres in 1994 and I took six-year-old son James to see it. This movie featured live actors and was darker and more human-centric than its predecessor, but wonderful nonetheless. I loved that much of it was filmed in neighboring White County. James loved that man-child Mowgli slept in a tree. He’s still a little miffed that I wouldn’t let him do it. And so I had my doubts that, 22 years later, the folks at Disney could hit another “Jungle Book” homerun. But they have, in part because CGI is now at their disposal. That stands for computer generated imagery, which makes it possible to portray settings and characters in an amazingly realistic way. Fake waterfalls look like real waterfalls. Fake elephants and monkeys and honeybees look like real elephants and monkeys and honeybees. 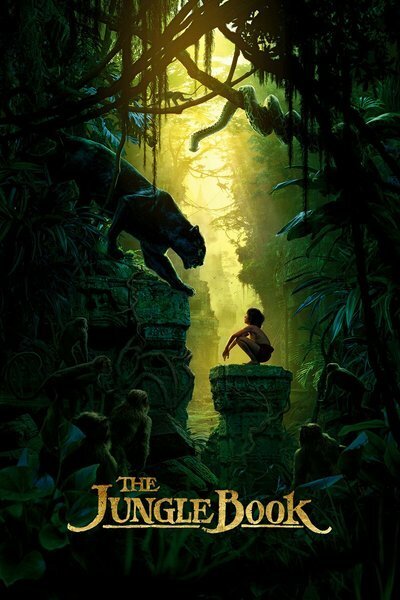 As do Bagsheera (the panther who rescued orphaned Mowgli when he was a baby), Raksha (the mother wolf who raised him), Baloo (the free-spirited bear who takes Mowgli under his wing), Kaa (the seductive python who hypnotizes him), King Louie (the giant ape who begs him for the secret of fire) and Shere Khan (the fearsome Bengal tiger who orders Mowgli to leave the jungle). If you saw the 1994 version and thought White County looked just like the Indian jungle, wait till you see this latest “Jungle Book.” The scenery is so believable it’s almost creepy. It’s enough to make you wonder if Mowgli himself is an actual living, breathing boy or just another virtual creation. The good news is that he’s real. And adorable. And immensely talented. Twelve-year-old New York native Neel Sethi made his acting debut in this film, beating out more than 2,000 Mowgli-wannabes to land the coveted role. He’d seen the “Jungle Book” cartoon before auditioning but didn’t read Rudyard Kipling’s classic story until he got the part. The young actor learned parkour in preparation for the physical demands of the role. All that swinging through the trees and scrambling up cliff walls and jumping over vast crevices and running for his life with Shere Khan in hot pursuit? No stunt double. Neel Sethi did those things himself. He’ll break your heart when he bids his adoptive mother good-bye as he leaves the wolf pack. Delight you when he figures out how to procure honey for Baloo. Make you tremble along with him when he visits Monkey City. And double your pulse rate as he tries to outrun an enraged tiger. The songs in the new “Jungle Book” are every bit as good as they were in the cartoon. Better, in fact. When Kaa coils herself around Mowgli and croons “Trust in Me,” you’ll want to holler “Run, little dude, run!” King Louie’s rendition of “I Wanna Be Like You” is a crowd pleaser. As for “The Bare Necessities,” the original version can’t hold a candle to what Baloo and Mowgli do with it this time. And when our protagonist, standing in the middle of the jungle, raises both fists to the heavens and shouts “I am Mowgli and this is my home!” you’ll know that your movie ticket was worth every penny you paid.